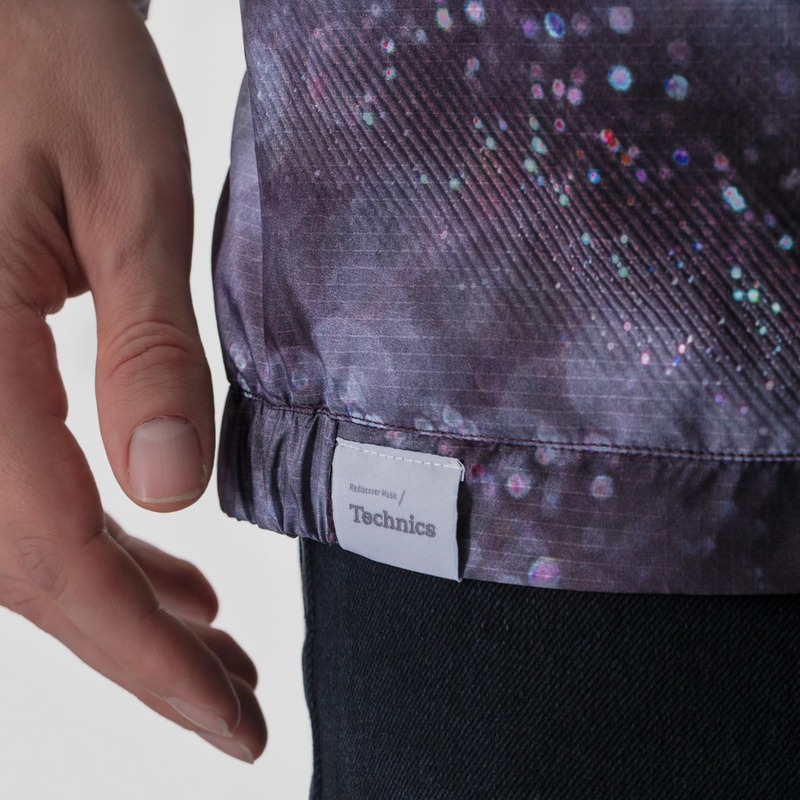 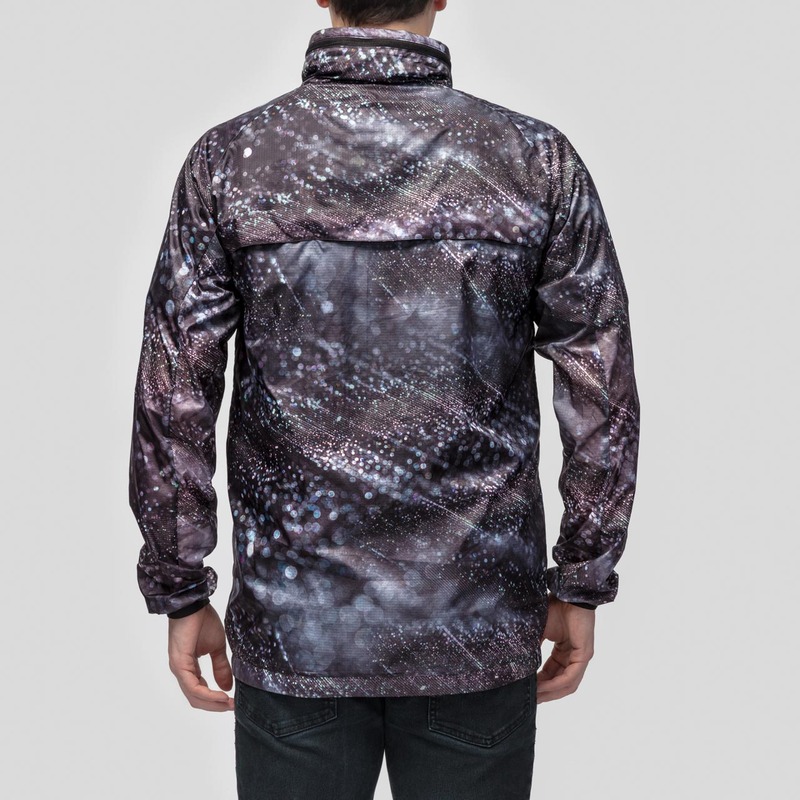 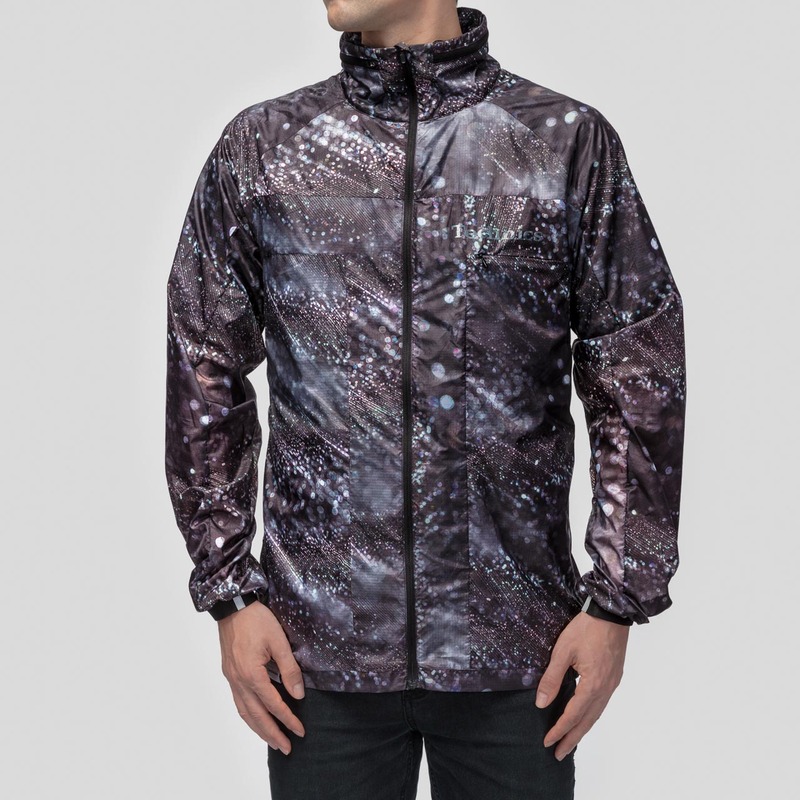 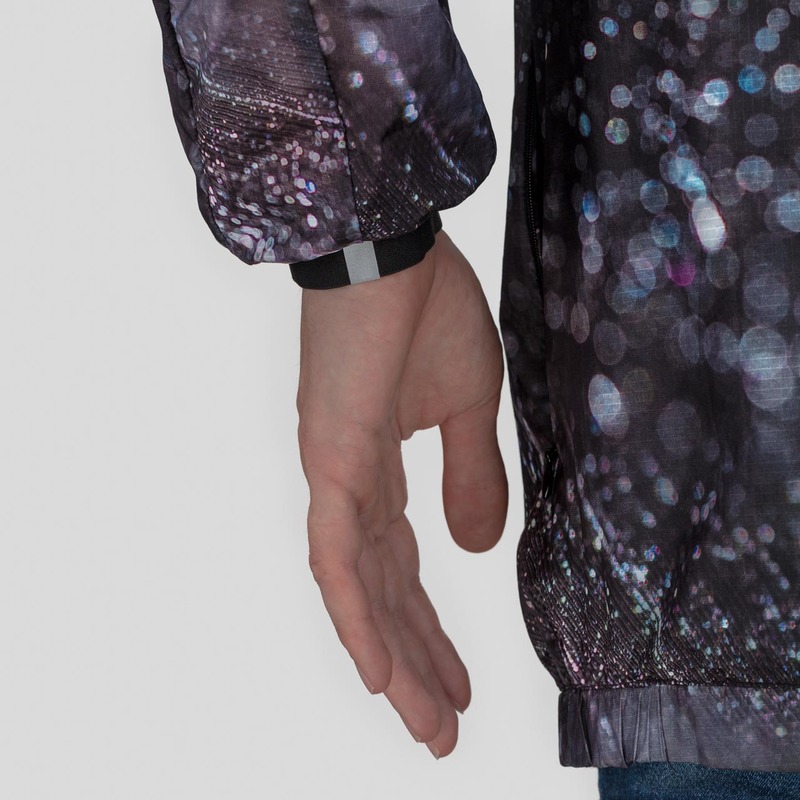 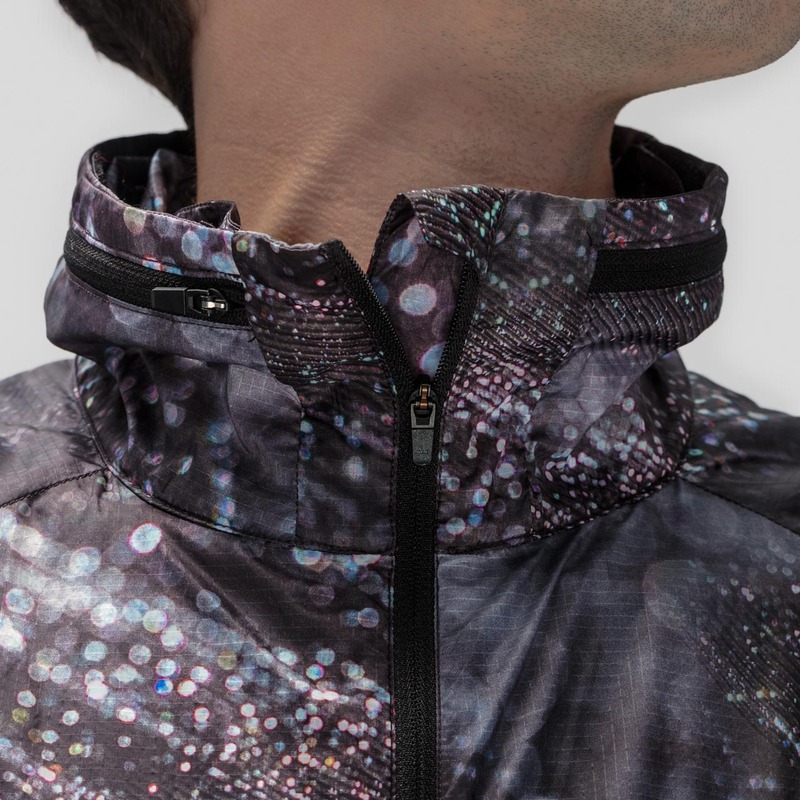 The jacket “Record Groove Light Weight” features a design by Swiss graphic designer Kilian Feller who prints his designs on the extremely light ripstop nylon fabric using elaborate digital printing techniques. 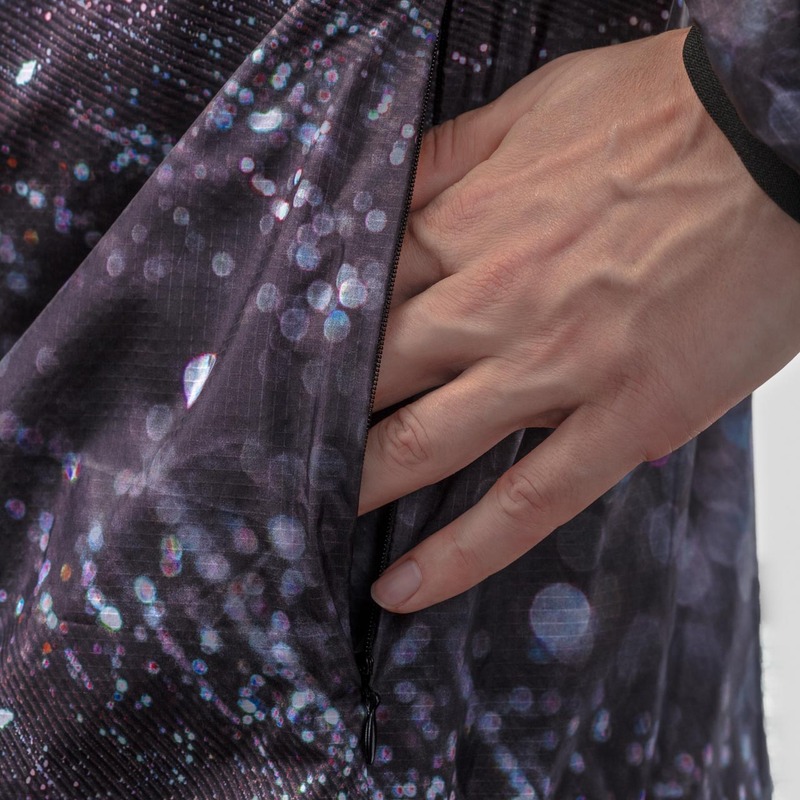 The all-over pattern shows the microscope shot of a vinyl record. 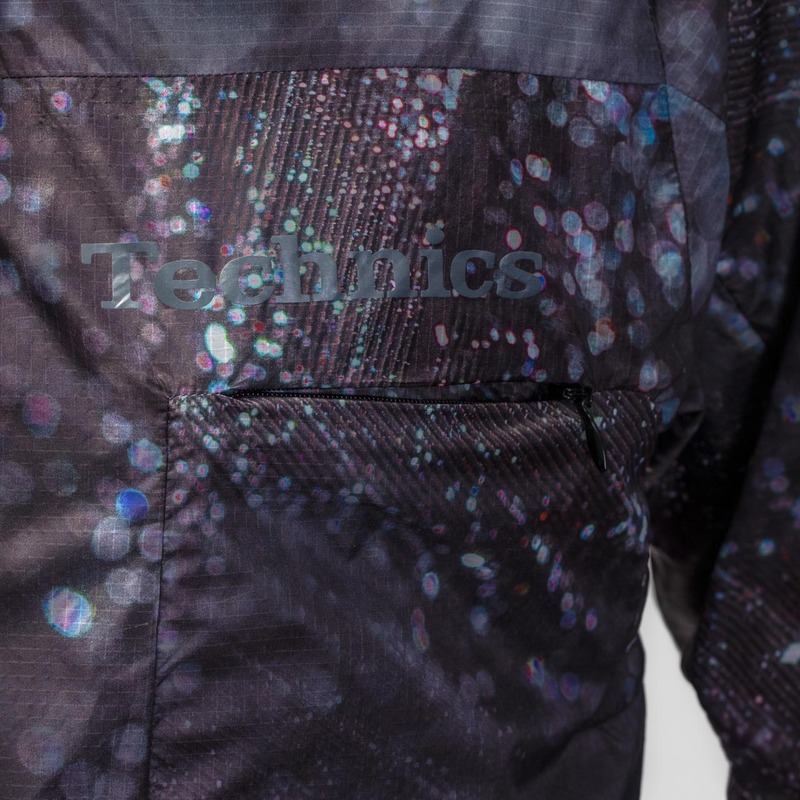 The random rays of sunlight falling on the record are what gives the jacket its unmistakable look.